If there's one thing most baby boomers seem to agree on, it's that rap is crap. What's the deal with all of that loud talking and foul language, anyway? Despite their distaste for the medium, however, old dudes just love to weigh in on the genre. Take, for example, the Who's Roger Daltrey. In an interview with Rolling Stone, the rock'n'roll legend explained that he doesn't really enjoy modern hip-hop. 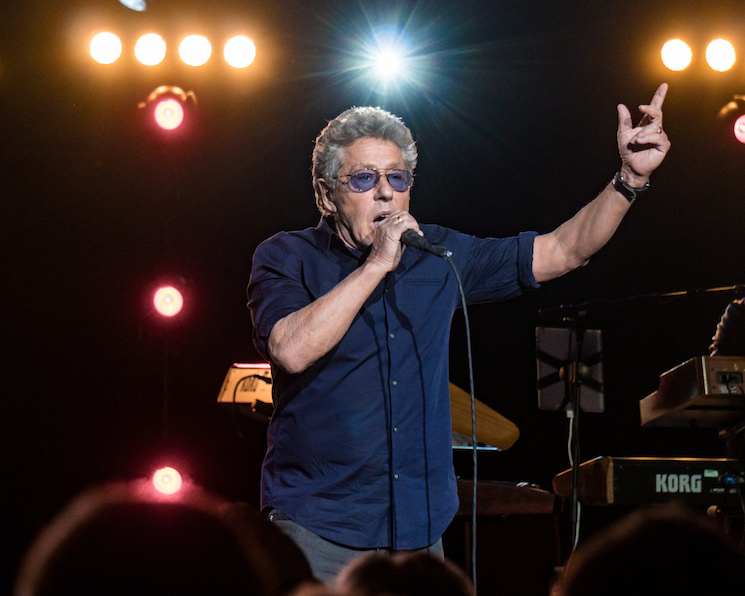 When asked if he was aware of Kanye West's music, Daltrey said, "I do because he did a big festival in England a few years ago. It's kind of meaningless to me, to be honest with you. I like some of the rhythms of rap. But [it] hasn't gone anywhere from the first record [that] ever came out with those kind of rhythms, has it?" When asked about whether or not rap has evolved, he added, "No, I don't think. Has hip-hop evolved? I don't think it has at all." That said, there's one rapper that Daltrey is all about. "I do think Eminem is still one of the most creative people in that whole arena," he said. "He's fabulous. I love him." Daltrey recently released his solo album As Long as I Have You. We're now interpreting its title as a love letter to Eminem.